When Volvik was founded in 1980, the company became the dominant supplier of golf balls in its home country of South Korea. There, they developed their reputation of distributing inexpensive golf balls, and they maintained that reputation until almost 30 years later. In 2009, Moon Kyung-ahn assumed control of the Volvik Company in South Korea and set out to change their perception – seeking involvement in the premium golf ball market. Moon organized Volvik USA in 2012 and based his expansion plans on golf ball color – attempting to achieve what no premium golf ball distributors have before. Though golf is a game rooted in tradition, that has not stopped recent innovations such as graphite shafts, oversized space-age metal driver heads, and offset irons from being quickly adopted by golfers. These days, even high-tech laser distance finders are mandatory equipment on the golf course. There is still one holdout clinging to the ways of centuries past – the color of the golf ball. The Wilson Sporting Goods Company introduced the first colored golf balls almost 100 years ago, in 1923. The Hol-Hi Ball in Oriole Orange and Canary Yellow made little impact, and the colored golf ball was relegated to miniature golf courses when the game was invented during the Great Depression. Wilson tried again in the 1980s, and journeyman professional Wayne Levi won the Hawaiian Open in 1982 playing its Optic Orange golf ball. Jerry Pate then scored a win in golf’s “fifth major” by teeing up an orange golf ball in THE PLAYERS Championship. 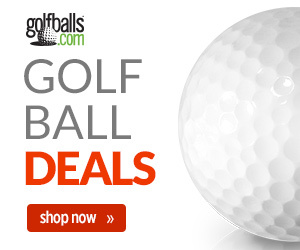 Sales spiked for a short time, but no one on the PGA Tour adopted the colored golf ball, let alone win with one. The company accumulated 58 worldwide golf ball patents that emphasized the infusion of color into high-performance golf balls. One misconception that needed to be addressed was whether colored golf balls were approved for tournament play at all since they were so rarely seen. What better way to convince a skeptical golfing public of the performance of legal colored golf balls than hitting big drives? Volvik became the title sponsor of the World Long Drive Championship, and Golf Channel televised colored golf balls flying the length of four football fields. This was the start of popularizing colored golf balls for Volvik. Volvik experienced a burst of popularity after Se-Ri Pak, an LPGA championship golfer from South Korea, ignited interest in South Korea for women’s golf. Using this interest to his advantage, Moon assembled a Volvik Golf team that couldn’t be ignored. Moon recruited South Korean LPGA winners Chella Choi, Lee Ilhee, and Lee Mi Hyang and equipped them all with colored golf balls. As you probably guessed, this gave Volvik a huge advantage in the LPGA community. Things have been slower in men’s golf for Volvik. The company made a big splash by signing two-time Masters champion Bubba Watson to a contract to play a 4-piece, 105-compression S4 pink golf ball in 2017, but the deal expired after one year with no Watson victories and no more contract. Masters champion Craig Stadler plays Volvik colored golf balls, but his time on the Senior Tour is mostly ornamental these days. Still, Volvik has been able to crow about more than $9 million in prize money earned with its golf balls on all professional tours since 2012 with 15 victories included. As they demonstrated an appetite for colored golf balls, the South Korean company shipped 1.1 million dozen Volvik colored balls in 2018. But with many of their competitors offering colored golf balls as well, Volvik needed a way to stay ahead. 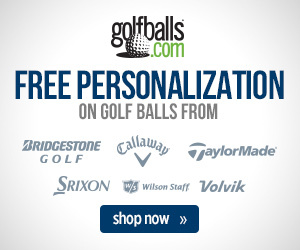 In order to so, Volvik expanded their popular VIVID line of golf balls. The VIVID XT Matte Finish presents a distinctive look without sheen in over a dozen colors. The XT was designed specifically for the Long Drive Contest and is targeted at players with swing speeds under 100 mph. For those with even slower swing speeds, Volvik offers the DS-55 in its Dual Spin series.